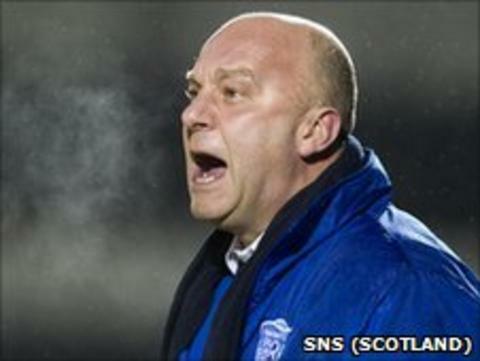 Neale Cooper has returned to take charge of Hartlepool United - six and a half years after walking out at Victoria Park. Hartlepool were on the verge of a place in the League One play-offs when he left the club abruptly in May 2005. He took over at Gillingham three weeks later, spending just six months there before returning north to Scotland to spend three years as Peterhead boss. But he returns to Pools following Mick Wadsworth's sacking on 6 December. Wadsworth was relieved of his duties after 16 months in charge, following a run of six straight home defeats. Two more losses under caretaker boss Micky Barron, who is to remain as reserve team coach, followed but Pools' surprise 1-0 Boxing Day victory at Oldham leaves them 12th in League One. That steered them nine points clear of trouble, and they are now only six points adrift of a play-off place as 48-year-old Cooper resumes control, inheriting Wadsworth's official job title of 'first team coach'. A statement on the club website said: "Neale previously left the club several years ago due to personal and family issues, which he needed to address at the time. "However, he has always indicated a desire to return to the club to continue the good work he did previously. "Although the club received many applications for the vacant position and studied all CVs carefully, it was decided that by appointing Neale, and retaining Micky Barron as the reserve team coach, it would cause minimum disruption to the team's main focus which is to climb the division and to try and reverse the current trend of home defeats. Pools' first game with Cooper back at the helm will be at Bramall Lane against second-placed Sheffield United on Saturday (31 December, 1300 GMT). His first match back at Victoria Park, when Pools will attempt to earn their first home point since 17 September, after a dreadful run of eight straight home defeats, will then come against Scunthorpe United next Monday (2 January, 1500 GMT).